While it doesn’t happen all that often, it still can snow in April here in the Northeast. In fact, just last April, parts of the I-95 corridor saw a minor accumulation of snow. 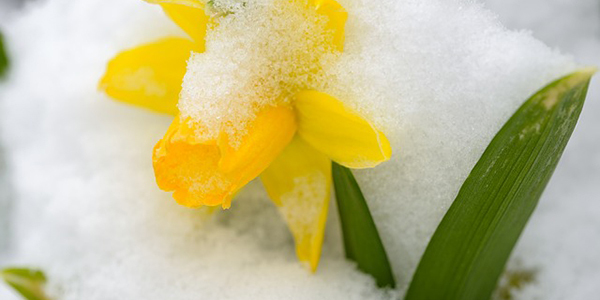 However, there have been some very memorable April snowstorms. One in particular really stands out and that occurred April 6 – 7th, 1982. Central Park received 9.6” of snow, 13.3” fell in Boston, while 14.1” of snow fell in Hartford. Meanwhile, the storm produced over 13 inches of snow in Albany while parts of the Catskills received almost 2 feet!! Winds gusted to 50 mph producing whiteout conditions at times. Also, thundersnow was reported along with snowfall rates of 1-2” per hour. Unfortunately, this all led to a 50 car pileup in Marlborough, MA. A record low of 21 degrees was recorded on April 6th in New York City, while Boston fell to 16 degrees on the 7th. In fact, the storm even postponed the New York Yankees season opener by 2 days. 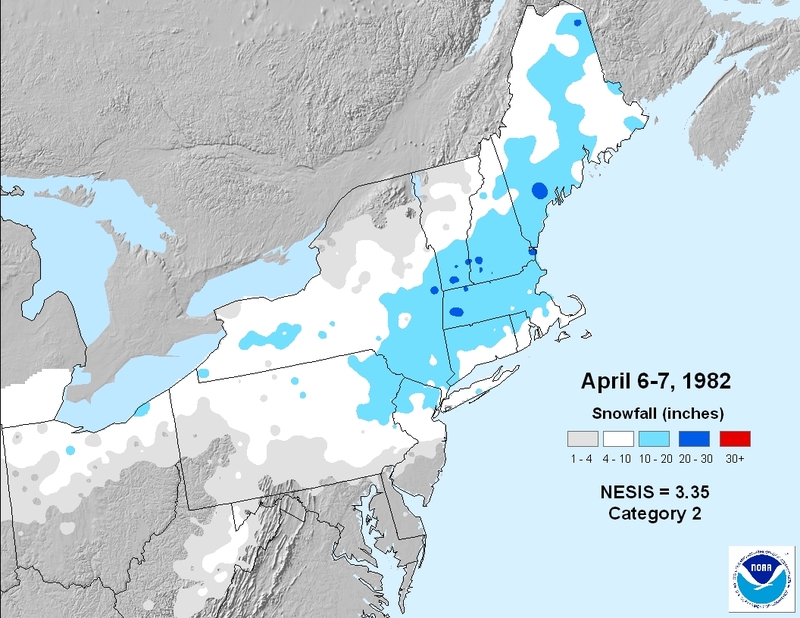 Snowfall map from the April 1982 storm shows a large swath of 10 - 20" of snow from northeast PA into Maine!